The warmer weather is almost here! For women, that means wearing more tank tops, shorts, and bikinis. These looks are cute, but they all come with an annoying factor — body hair. While hair removal may seem like a modern aesthetic, the practice has been occurring back as long as the ancient Egyptian and Roman empires. Here are 11 common hair removal methods for women. No matter where body hair grows, there’s a way to remove it. Here are 12 hair removal methods all women should know. In 2016, 85% of women shaved their legs. That’s because shaving is the most common hair removal option for women. Razors work by cutting off the hair follicle at the visible level. It’s a quick way to remove hair, but that means the hair also grows back quickly. This is why most women shave between one and three days. The main issue is developing nicks and cuts from the razor. This occurs when you shave against the direction of hair growth, don’t use shaving cream, shave too quickly, or use an old razor. It’s a fast and painless process. You have to frequently shave to see results. Waxing is painful but the results last longer. Waxing works by applying hot wax to grown out hair. A technician applies the cloth to the wax. The cloth sticks to the wax, therefore sticking to the hair. The technician yanks off the cloth, taking the wax and hair with it. Because of the pain, this isn’t a preferred option. But many women choose this option because it’s the longest lasting. Waxing removes the hair from the follicle completely. On average, hair takes between three and six weeks to grow back after getting waxed off. You won’t have to worry about hair regrowth for several weeks. It’s extremely painful, especially if you wax in sensitive areas such as the bikini. Women also have to let the hair grow back, which is inconvenient if you wax your legs. You get the best results at a salon, which can be expensive. We all remember this slogan. That’s because it’s a song made famous because of the brand Nair. Nair is the premiere company that revolutionized depilatory cream. This cream works by dissolving the hair below skin level. All you do is slather the cream on your hair, wait a few minutes, and wipe the cream off. Many women opted for depilatory cream because it provided similar results as waxing without the pain. It was as quick as shaving but you don’t need to spend so much time using the cream. Depilatory creams were popular back in the day but have decreased in use. That’s because depilatory creams aren’t as effective as other hair removal options. In addition, experts started releasing warnings about these creams. Even though brands like Nair and Veet are FDA-approved, women still risk a reaction or sensitivity. It’s inexpensive, you can use the creams DIY, and you get better results than you do with shaving. The cream is messy. Women with sensitive skin reported adverse reactions. These creams also have a strong scent because of the chemicals required to break down the hair. Even though it’s expensive, this method removes the hair almost permanently. Laser hair removal works by using light therapy to destroy the hair follicle. It’s a long-term hair removal option, and many women experience hairlessness. However, many women also report non-permanent results, but their hair is still lighter and finer. Not all women are candidates for laser hair removal. Women with pale skin and dark hair benefit the most from this option. That’s because the laser picks up pigment. This is why this option isn’t preferred for women with lighter hair. Also, darker-skinned women risk getting burned by the laser. Read this guide to find out more about laser hair removal and if you’re a good candidate. The light therapy helps destroy the hair follicle, resulting in long-term effects. Not meant for women of all skin and hair colors. Even though it’s been used since 1900 B.C., sugaring is a new hair removal craze. It’s similar to waxing but without the pain. A sugar-containing cream or gel (or even honey) is applied to the hair. A cloth sticks to the product and is used to remove the hair out of the follicle, similar to waxing. This option is also affordable and safe — many women do sugaring DIY. Why doesn’t it hurt? The sugar in the product is strong enough to coat the hair but doesn’t stick to your skin. This makes sugaring both effective and painless. Painless, far painless than traditional waxing. Still, have to wait for hair regrowth. Laser hair removal targets the hair follicle with a laser, but electrolysis targets the hair follicle with an electrical current. Because the electrical current doesn’t rely on pigment the way a laser does, women of all skin colors who have any hair color can benefit from electrolysis. The main issue of electrolysis is the length of time it takes to complete. To work, the specialist needs to destroy one hair follicle at a time. The average woman will attend between 15 and 30 electrolysis sessions to permanently remove the hair from a specific area. Epilating devices have been popular on the market. This device uses rotating tweezers to remove each hair from the follicles. Women report they receive the same results as waxing and they usually use the device once every four weeks. Epilating is also diverse. Since you’re removing hair with a specific device, you can buy specific devices to remove hair from different parts of the body. For example, they make devices and attachments that remove hair from the face. The only issue is using this device on your pubic area. Since the device pulls out each hair individually, many women reported pain when using it on their pubic hair. Can be painful and not meant to be used on the pubic and bikini areas. Unlike traditional razors, electric razors use a fine screen powered by a battery. This helps trap and cuts hair. The electric power helps trim down the hair to the finest point. Since electric razors are so powerful, they’re recommended for areas with lots of hair. Women commonly use electric razors on their bikini line and pubic area. But they can also be used on the underarms and the legs like a traditional razor. Also, you don’t need to use an electric razor in the shower or with shaving cream like you do with a traditional razor. You get the best results when used dry. As quick as shaving and safer because you’re not handling a blade. You also don’t need to shave in the shower or use shaving cream. The effects don’t last as long as traditional shaving. Threading is another new hair removal craze, used mainly on the eyebrows. Threading occurs by taking strings and threading them around individual hairs. The technician takes the thread to pull out the hair. Since it’s a very concise process, it’s mainly used on for facial hair. Like waxing, many women like threading because the hair is pulled out of the follicle. This makes hair regrowth slow. Women can expect hair regrowth between two and six weeks. Unlike waxing, this process takes a long time. The technician pulls out each hair individually. You also need to see a specialist because the procedure only requires professional assistance. Time-consuming because the specialist pulls out each hair individually. Plucking is the most time-consuming hair removal method. This is why it’s done primarily on the face. Plucking involves taking tweezers and plucking stray hairs. Many women pluck their eyebrows, chin, and lip. Waxing technicians will also pluck individual hairs if the patch of air isn’t big enough to wax. It’s fast, and it’s a good option if you’re only plucking a few hairs. It can be painful in certain areas, especially the eyebrows. Vaniqa is an FDA-approved cream that reduces and inhibits the growth of facial hair. It targets the enzyme that is needed for cell reproduction during the hair regrowth process. Since Vaniqa is largely a preventative measure, patients will see results between four and eight weeks. 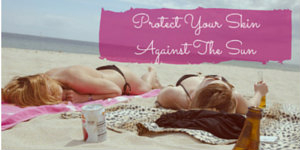 Vaniqa is safe to use with other hair removal methods, including laser therapy. Helps to reduce hair regrowth. Only available per prescription and can only be used for facial hair. Now that you know the most common hair removal methods, do you need more beauty advice? Head over to our beauty section and see how we can help you!